Virginia Business asked five Certified Public Accountants for their take on the state of the economy in Virginia. 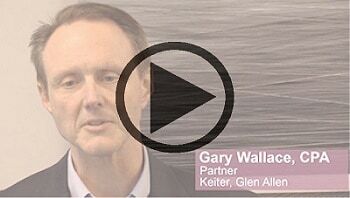 Read what Gary Wallace and four other Virginia CPAs had to say about their regions. How is the economy faring in your part of the state? We are seeing significant growth in all sectors of the economy. It is highlighted by new business growth, as well as a strong real estate market in the commercial sector [in neighborhoods like] Scott’s Addition, Manchester and others. How has the new tax law affected your clients? Generally, a positive impact. It offered both initial tax relief for many corporations and also provided an economic sign of stability. What has yet to occur is the additional time to comply with the new provisions.